If it has coconut as a featured ingredient, chances are I’m going to like it. So, from the moment I stumbled upon this recipe, I’ve been daydreaming about it. The recipe is easy and takes just a few ingredients that many folks will already have: butter, sugar, eggs, flour, baking powder, milk, and coconut extract. It’s so easy, in fact, that I took some action shots! These resulted in a bunch of sifted flour on the counter, so I don’t recommend you do the same. I used my handy scooper to half fill each greased mold with batter. The cakes rise quite a bit, so half filled is all that’s needed. 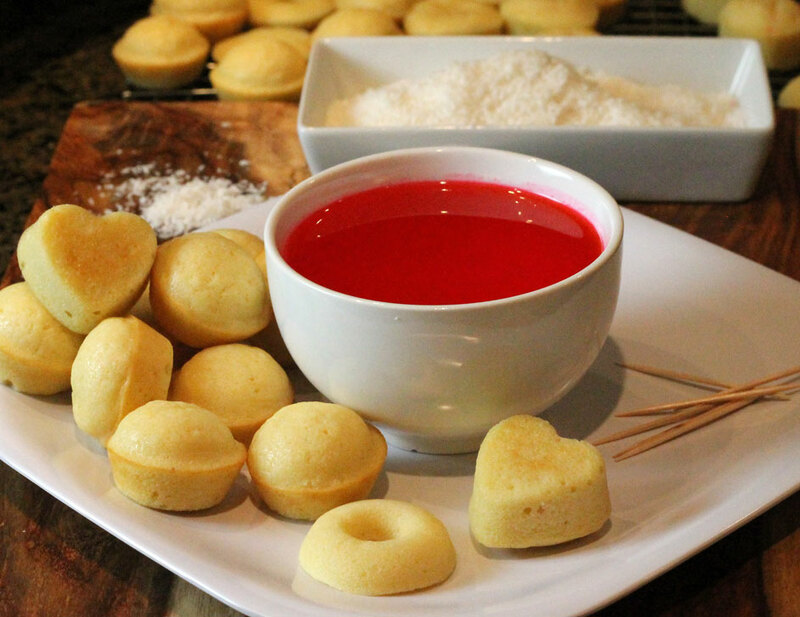 The next step is to dip the cooled cakes into simple syrup and then roll them in coconut. I had never made simple syrup before, and it was very simple to make (duh, right?). Making simple syrup is as easy as boiling water. If you can boiling water, then you’ll be a simple syrup superstar like me. Are you still with me? Great! That brings us to the part where everything fell to crap. 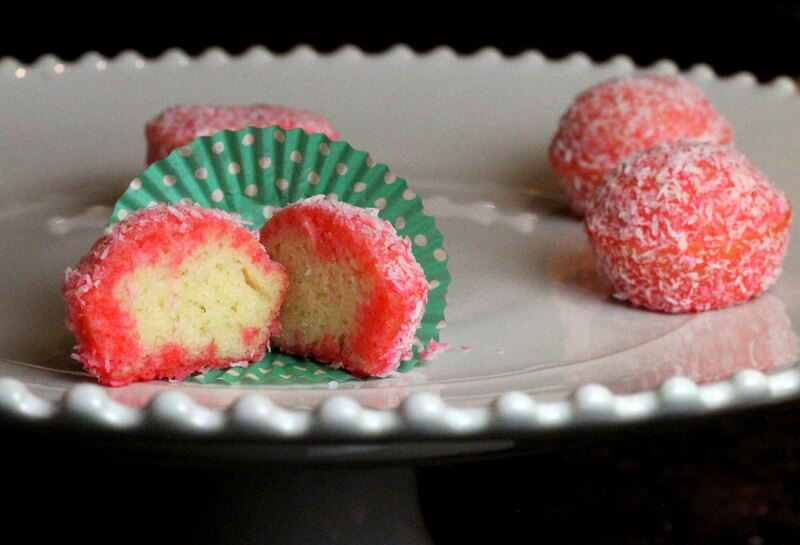 The recipe makes a point of listing pink gel color as the kind of food coloring to use. Not a problem. I even had the same color and brand used in the original recipe. Yet, when I added the color to the syrup, I might as well have added a drop of oil into water. There was just no way I could get the gel to mix with the simple syrup. And the more I tried to mix it, the more the gel color just broke up into smaller swimming gel bits. So, I had to remake the simple syrup. This time, I placed a tablespoon of the cooled simple syrup into a small dish and added the pink gel color to that tablespoon of simple syrup. The color gel mixed in well this way. I then added that concentrated color mixture into the main batch of simple syrup. Boom. Back on track! 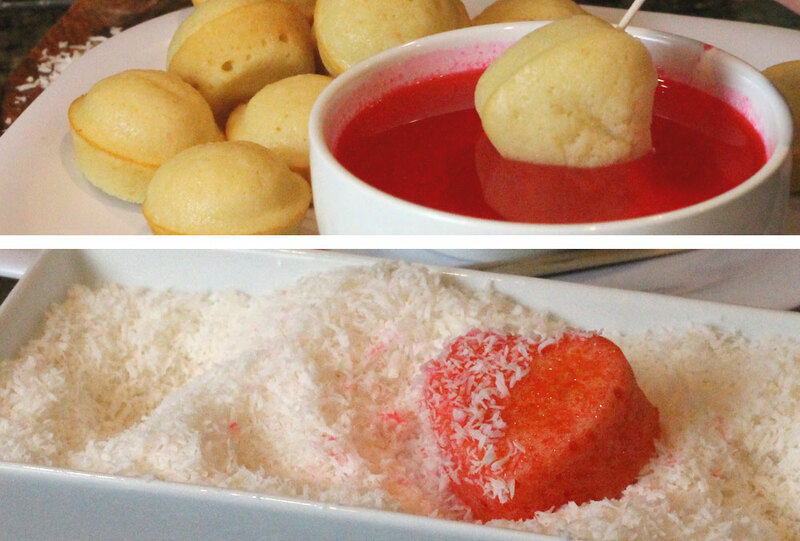 Using a toothpick, I skewered the cakes, dipped them into the pink simple syrup, and then rolled them in coconut. 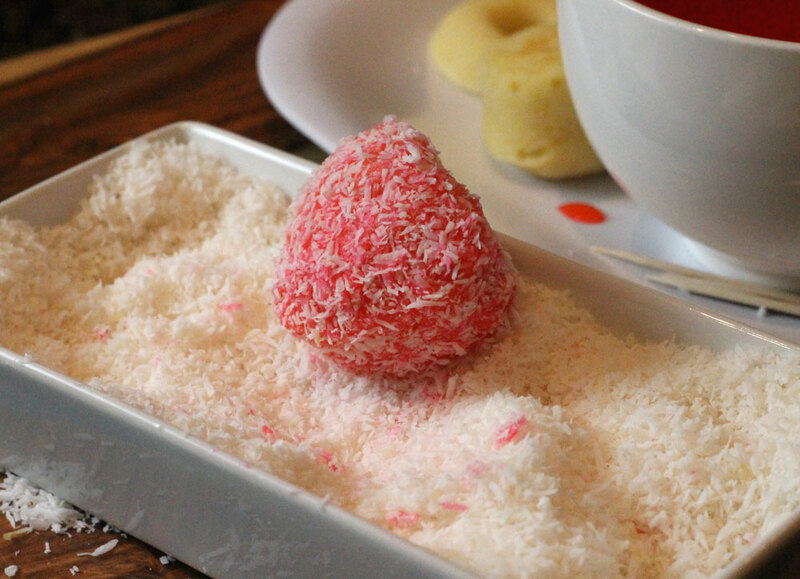 As you can see above, the coconut sticks to the dipped cake fairly well with no help. That didn’t stop me from pressing on the coconut a bit more with my fingers to get the max amount it would take. Did I mention I love coconut? How cute are these? I love them and their mini size. The look and taste of these remind me of my favorite pan dulce from when I was a kid, so I’ll definitely make these again. I wonder how cute they’d be without the food coloring? Or in a different color? Ah, something to try next time! Heat oven to 350 degrees. 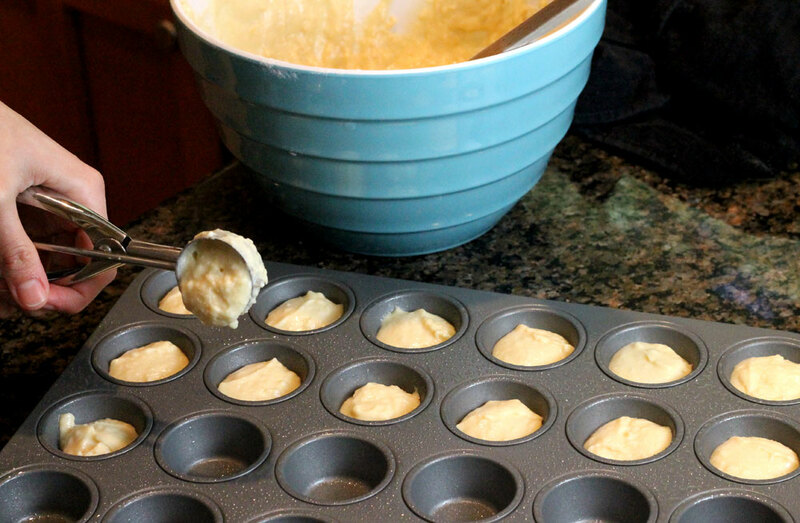 Grease mini muffin pan(s) and set aside. Cream the butter and 2/3 cup sugar until light. Beat in the eggs, one at a time, then beat in the coconut extract. 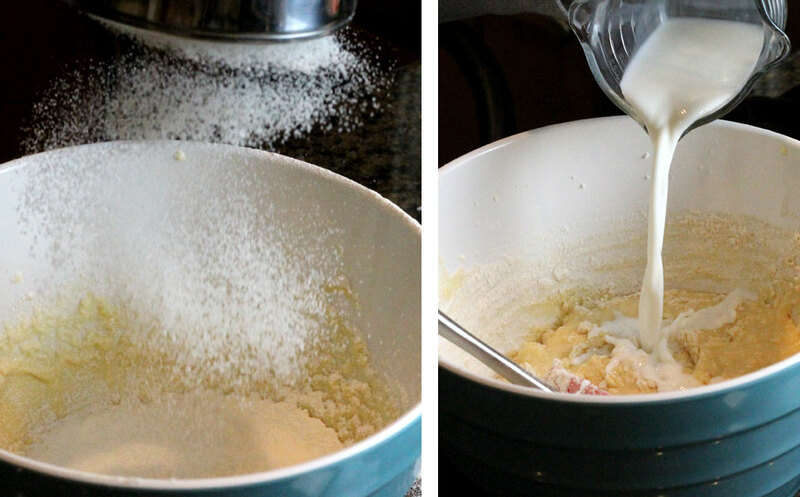 Fold in the flour and baking powder alternately with the milk to form a dense batter. 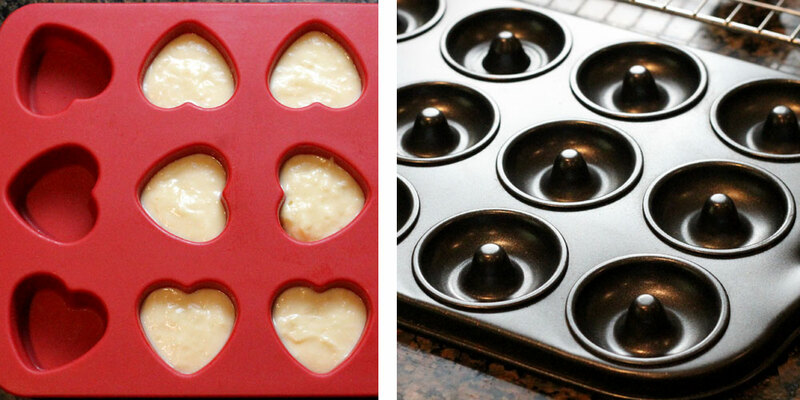 Spoon batter into greased cupcake tins no more than halfway up in each cup. Bake for 10-12 minutes until skewer comes out clean. Remove from the oven and cool on a rack. Add the sugar, water and coconut extract to a saucepan. Bring to the boil, stirring until the sugar has completely dissolved. Remove from the heat and stir in a few drops of coloring. I love that you are doing this Jonesy!!! 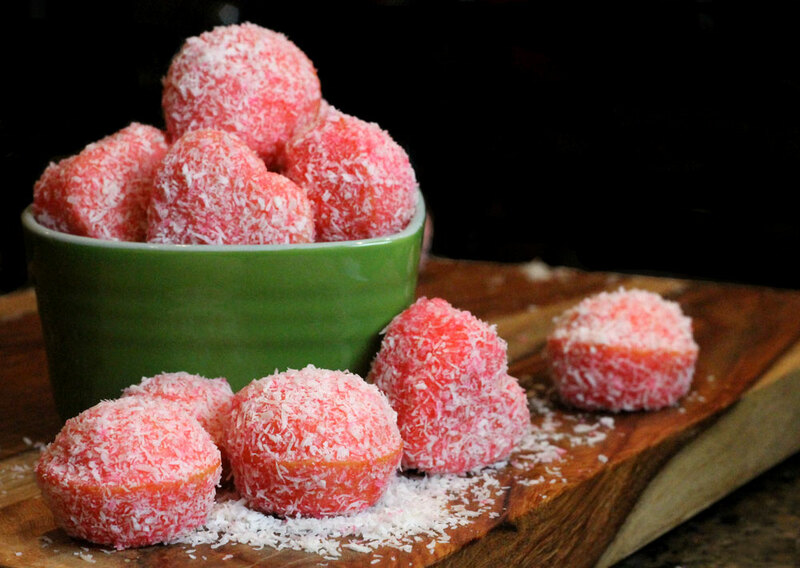 Will totally be making these as I too LOVE coconut. And perfect timing with Valentine’s Day around the corner. Where did you get the heart shaped pan? 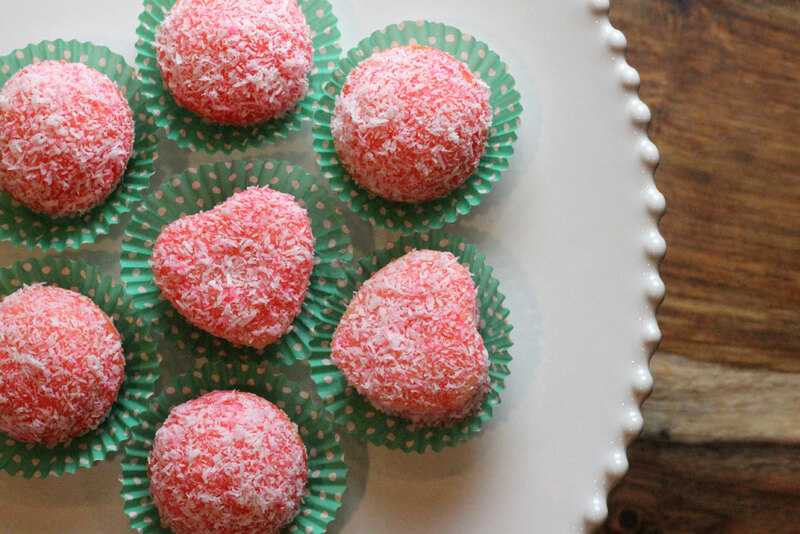 I LOVE coconut and I LOVE that you’ll be trying these out! 🙂 Just watch out for that food coloring step – so annoying! I think the liquid drops like they have in the grocery store might work as well, so I’m going to try that next time.